The Studio is the newly built separate annexe to the Lighthouse, sharing part of its garden and driveway. 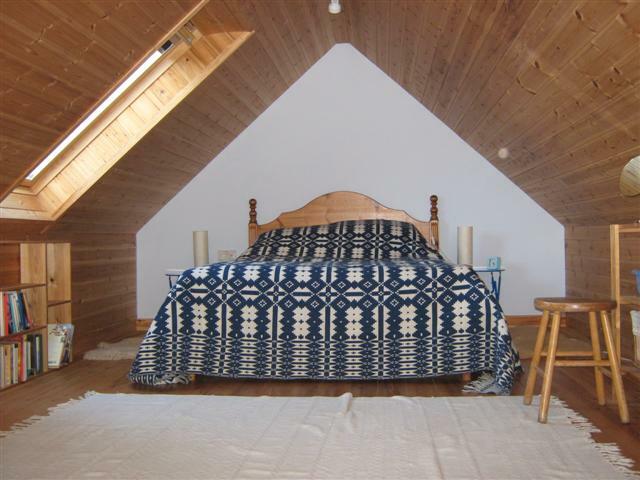 It provides simple yet comfortable accommodation for two people with an extra put-you-up bed available in the large double-bedded loft room upstairs and a sofa bed downstairs. The kitchen/living room is provided with an electric 'Everhot' cooker (a bit like an aga), fridge/freezer, kettle, toaster and iron. There is an electric radiator for heating. There is radio but no TV. The shower room leads off from the lobby. Garden furniture, barbeque and washing machine are all in the adjoining garage and can be used by arrangement with us. You can borrow our two basic bikes or bring your own and store them there. 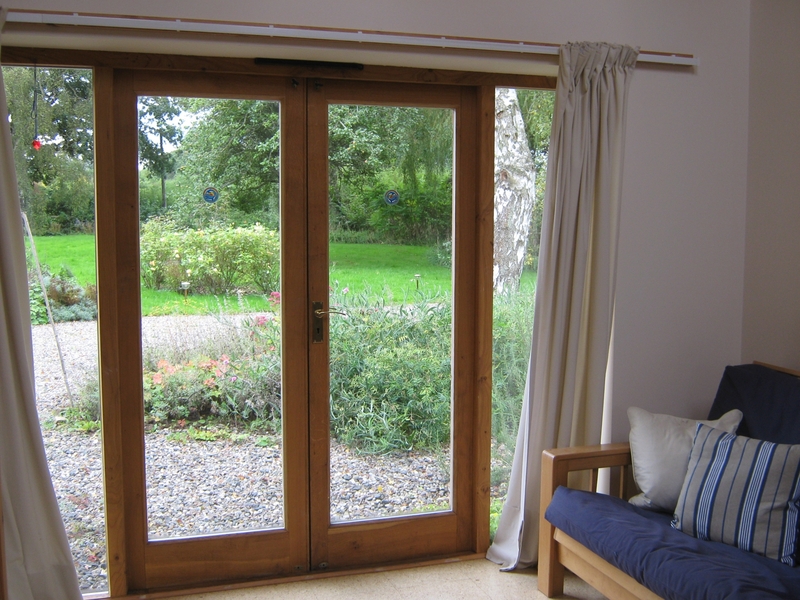 The Studio looks out onto the peaceful garden and the orchards (where you can wander) and lies very close to the footpath network. We have maps and guides to borrow, and folders with details of pubs and attractions. It has its own stretch of lawn for relaxing. There is plenty of wildlife to observe, even from the window! 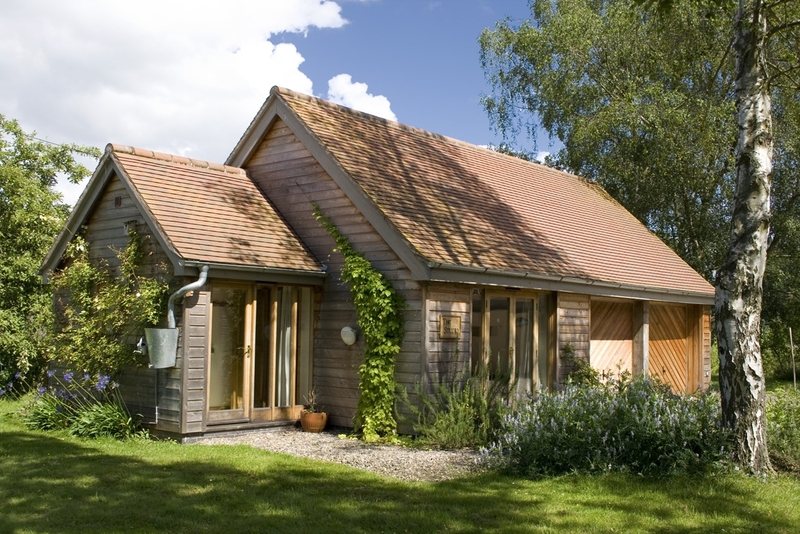 The Studio is ideal for a peaceful short break, or a whole relaxing week. 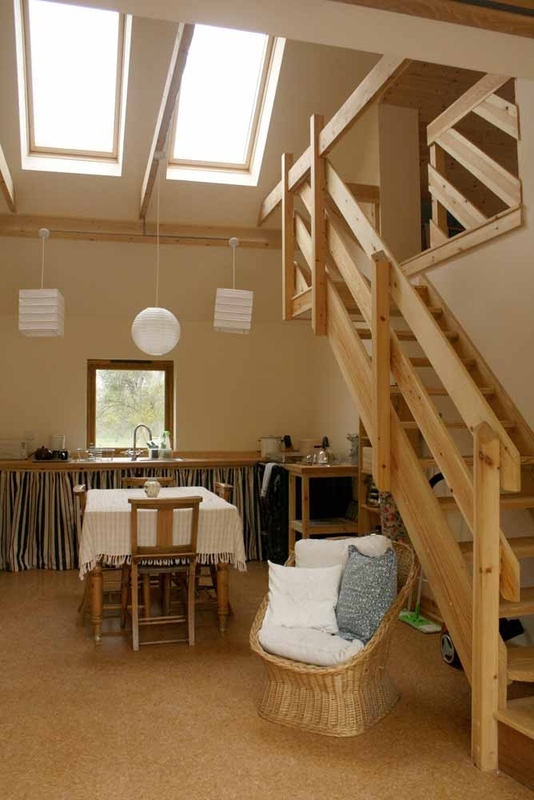 Prices range from £150 for two nights for two, and £300 for a week, to a little more for more people. Additional rooms are available in the Lighthouse for extra guests.